"Sokushin Jobutsu" attaining enlightenment in ones present form is the goal of our practice. It means that we can attain enlightenment in this life regardless of background, age, intelligence, gender or any other differences we might have as individuals without having to renounce the world. By centering our lives on our buddhist practice, we can develop peace within, harmony with others and positively affect our environment. We don't need to escape our world or our problems, but can courageously face and challenge our obstacles.The Buddha's ultimate goal is called "Kosen-rufu", a peaceful world based on the enlightenment of all people as well as all sentient and insentient beings. 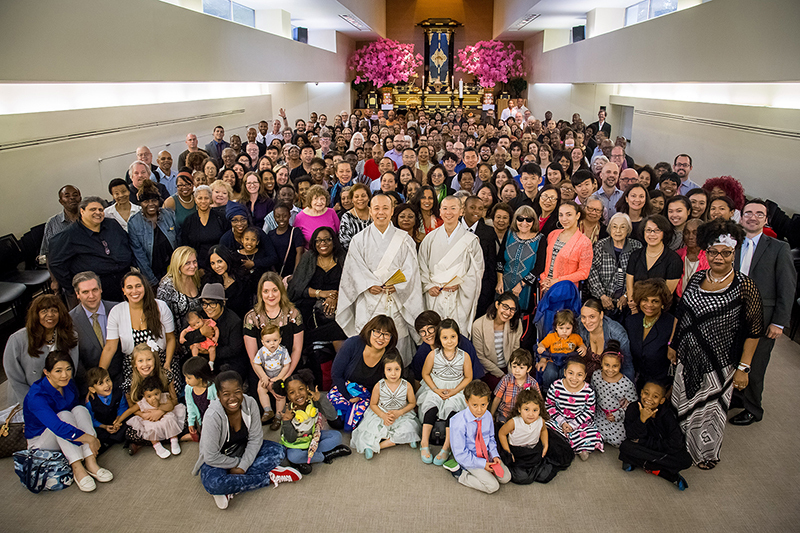 When you come to our temple you will see people from all walks of life practicing together.